J'espère qu'il en fera une tab !
" 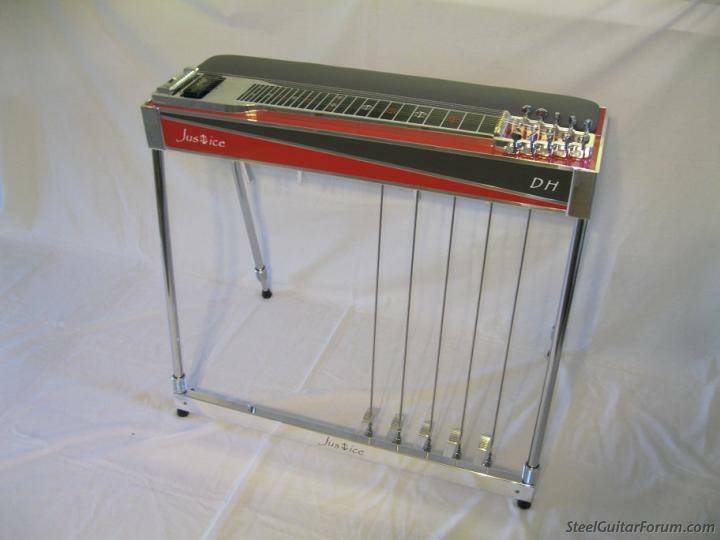 There goes my everything "
How I record my Steel Guitar ? Answered.. I get many enquiries about this, so I thought I would post this thread. or indeed, sessions I receive, online. The Rains guitar is played straight through the TELONICS pedal into the sound card of the Apple Mac. Lets start with the first thing I said there ! It is the ONLY guitar I have owned that will give a good recorded sound, or indeed, played back sound, by going straight into a mixer, or PC soundcard input. I know you are all saying, yes, here's a PLUG for Rains here, but its true, and I think its the pick-up mounting on the alloy neck thats the secret. There are NO screws into the body of the guitar, the PU is suspended from a metal plate from the alloy neck.. In fact, this is where all the sustain comes from too. Now, moving on from that, I use the TELONICS electronic volume pedal for recording. It is without doubt, the finest available, but at a cost, as you will all know. Next, your sound card. Its got to be good. A dedicated studio quality PC/MAC interface is a must otherwise you will be 'tweeking' a lot afterwards to get your sound. I am not saying it can't be done direct to PC with their line inputs, but you only get what you pay for and you only need to but it once. When they first come out a few years ago, you would be lucky to get change out of £1000, but they are affordable now at around £300 or less. Thats it. STEEL/TELONICS/RECORDER. I forgot to mention the PU's on my Rains are George L 10-1. Gary Carpenter has twice put different PUs on guitars for me to try but within 2 days, I cut them and replaced them for these PUs. E66 are my second favorite. Then Designer reverb (stereo) which is pre-set by Logic. I only adjust how much or little I need for a particular song. Any online session I do, I always return the steel back dry, with NO FX, but in 24bit 44.1khz with just compression to level it out a bit. Never over-do compression as more can always be added later..
Get the tone right and let the person the other end add what they want after that. Please feel free to share this information as you wish, and I will also direct enquiries to my recorded steel to this thread. Qui reconnaît le steeler, visible uniquement à 1.45 ? Pour la version superbe de David Hartley,je me demande bien ce qu'il emploie comme "dobro simulation" avec la Sho-Bud. Ca ne sonne pas à mon avis comme un "Bobro" ou un "Match-bro. 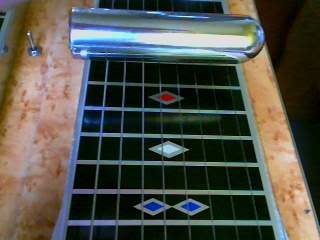 It is a match-bro but after playing with it for a while I discovered that it only sounds authentic when playing single notes on strings 5 & 6 only and also playing in the lower fret positions too. 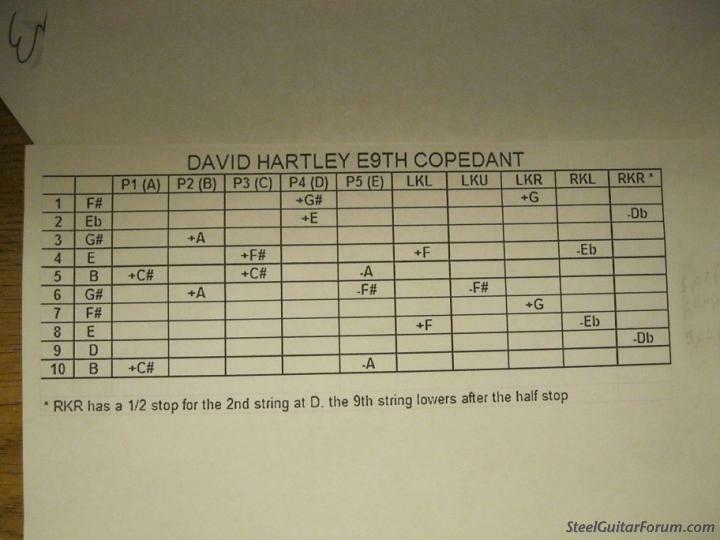 Strings need to be picked quite hard too..
''Very good indeed'' ! Woof !
" Coal Miner's Daughter "
" Just One Time "
" Amarillo by Morning "
" There stands the glass "
" Good girls gonna go bad "
" It's Such A Pretty World Today "
" i love you because "
" Beneath still waters "
" My Woman, my wife "
" Above & Beyond "
" San Antonio Rose "
" Daydreams About Night Things "
On peut dire qu'ils sont pas mauvais ces deux la Du top !!!! Tiens,David sur une "Sho Bud"avec 4 pédales et le "Franklin Change" sur LKV !
" Cotton Eyed Joe "
Et avec humour en plus !
' Til I Can Make It On My Own "
" Wine me up "